Karni Sena and Mahakaal Sena have been protesting in Ahmedabad, Rajkot and Bagodara, handing over letters to exhibitors, asking them not to screen Padmaavat in the state. Sanjay Leela Bhansali’s Padmaavat is five days away from the release and there seems to be no end of problems for the makers. The Supreme Court recently announced ‘no ban’ on the film and it was kind of relief for the makers of Padmaavat. However, soon after the decision of the court was out, Karni Sena protested and threatened to burn cinema halls. On the other hand, even Rajasthan’s Home Minister Gulabchand Kataria said the state government has decided to file a review petition in the Supreme court. Meanwhile, some film distributors have backed out from purchasing the distribution rights of the film in the state. “I am not going to purchase the rights of the film as I am going out of the country on a family holiday on 24th January,” a leading film distributor, Raj Bansal, told PTI. There are close to 280 cinemas in Rajasthan and the distributors are not expecting the release in the state which is why they have planned not to buy the rights. The distributors are staying safe from their side. 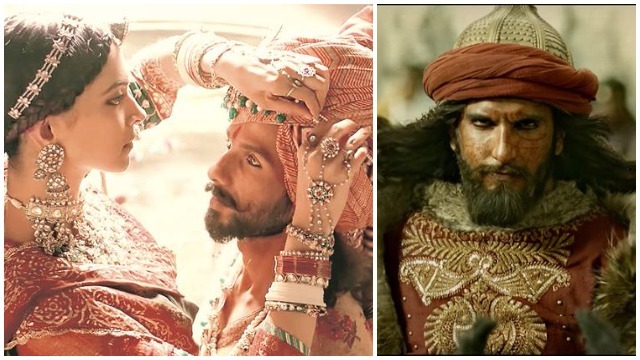 With the latest updates on the release of the film, Karni Sena on Saturday claimed that Bhansali productions had sent a letter inviting them to watch the film before the release. However, they have addressed it as a drama and no reply has been given to Bhansali. Though Akshay Kumar postponed PadMan release to make way for Bhansali’s Padmaavat, we wonder if the film is going to get its deserving share of audience in such a scenario. Padmaavat starring Deepika Padukone, Shahid Kapoor and Ranveer Singh is releasing this Friday, on January 25, 2018.